Recently it has been really cold here and felt rather Autumnal. We’ve started to shop for Autumn/Winter pieces but finding outfits that are both comfy and suitable for the weather can often be hard. 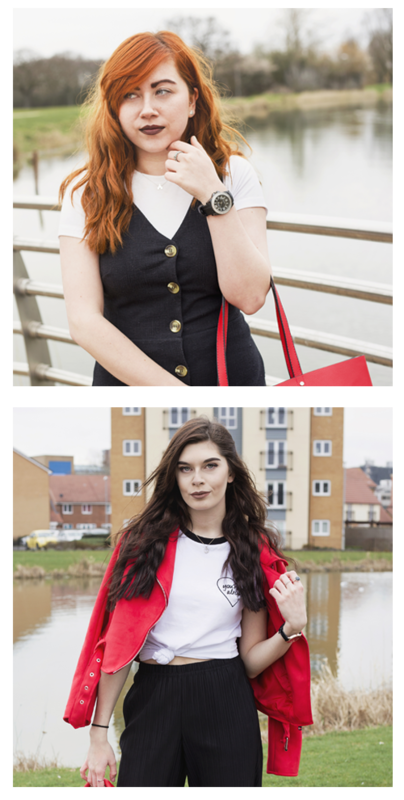 Therefore, we have put together 2 outfits each to give you an idea of what we’ll be wearing this Autumn! About 90% of my wardrobe is full of dark colours, so when Autumn arrives and it’s ‘normal’ to wear black and berry tones I’m pretty happy! I got this dress from H&M in the Summer and I really wasn’t sure how it would look with tights but I surprisingly love it! 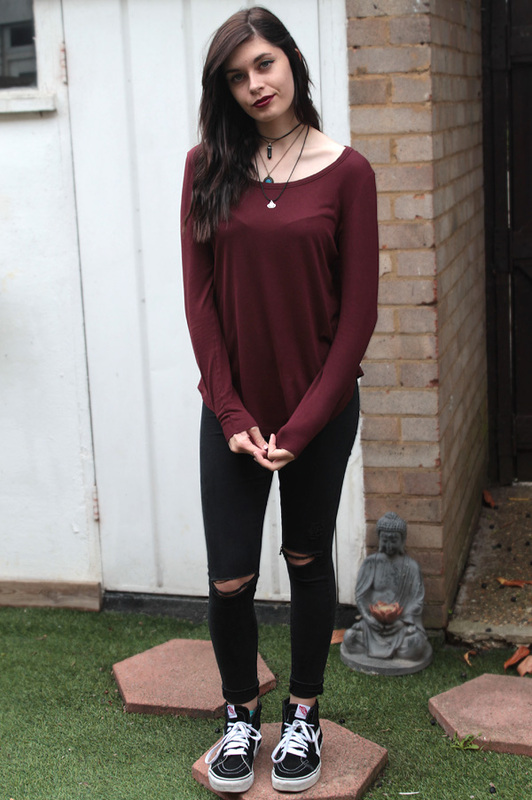 I paired it with my cherry red Dr Martens and an oversized cardigan of a similar berry colour. 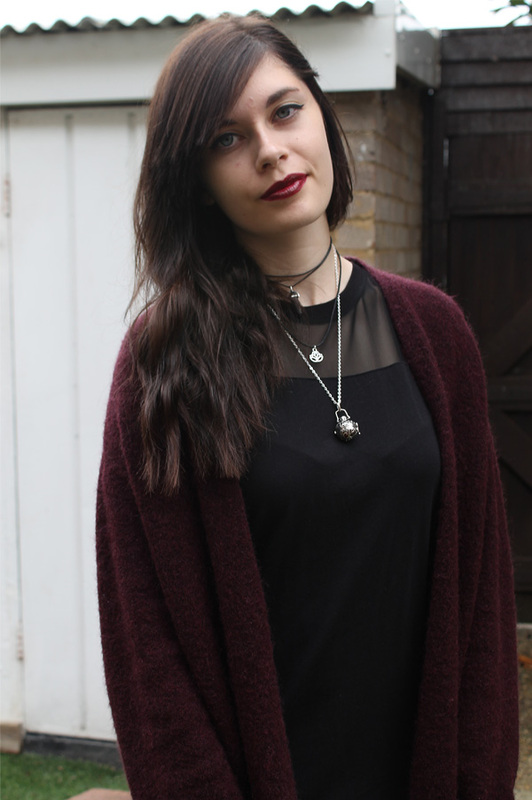 I wanted this cardigan from Topshop when it came out in Autumn/Winter last year and I finally got my hands on it when the price came down this Summer (I’m a college student guys I don’t have £40+ to spend on a cardigan!). Not only do I love the look of this outfit but it’s so comfy too. It’s perfect for Autumn weather when it’s not warm but not cold enough for a thick coat! For this more casual look, I’m wearing a burgundy long sleeved top that I recently got from H&M along with my ripped Joni jeans from Topshop. 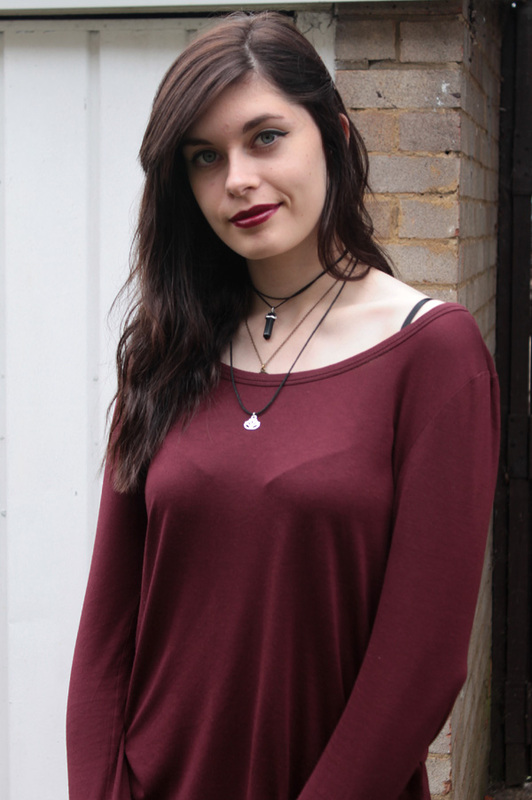 I love the colour of this top and the long sleeves are perfect for the Autumn weather! I’ve paired this with my Sk8-Hi Vans and I love the more ‘alternative’ look these can give any outfit. I’m a huge fan of berry lipstick shades and again I wear them all year round so the fact it’s more acceptable now it’s Autumn is great! I’ve always loved the look of swing dresses and I love a high neck on tops/dresses, so when I saw this in H&M my face lit up! I wasn’t sure if this style of dress would suit me as where I’m small dresses tend to swamp me. 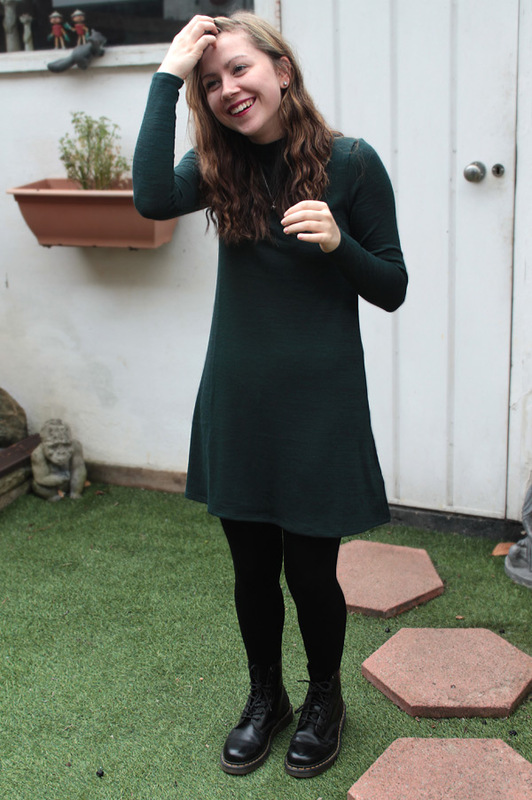 I feel like this isn’t the case with this dress, it somehow gives me shape whilst being floaty (I love it so much I went and bought it in 2 other colours!)! The only ‘shoes’ I wear with dresses are Docs, so of course they had to make an appearance again! It’s crazy how you can love one pair of boots so much. The long sleeves are perfect for the upcoming cold months too, here’s to hoping I won’t get chilly arms! The colour is perfect too! I recently had a change of heart and decided that although I love wearing black, I need to inject some form of colour into my wardrobe! 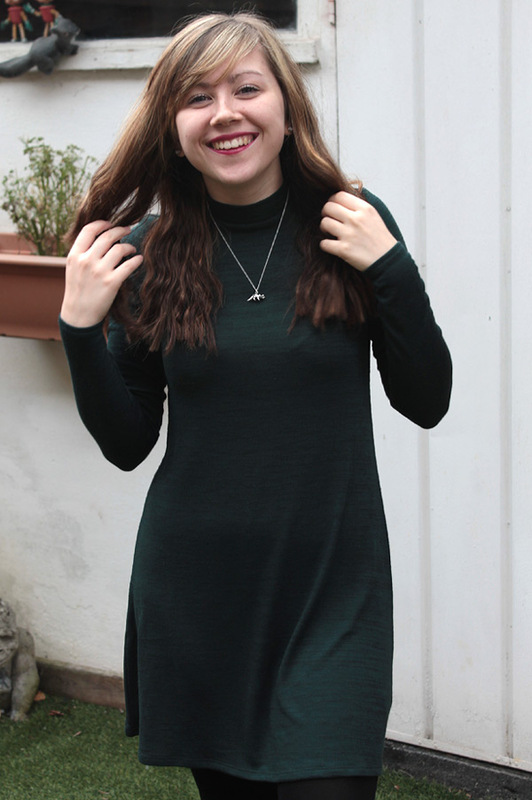 Forest green has become one of my new favourites and it’s perfect for Autumn/Winter. The good thing about Autumn is that it’s more ‘acceptable’ to wear baggy comfy clothes. I bought this shirt a few years ago from an online store called ‘Down But Not Out’ and I love how cosy it is. It’s oversized but not so big that it looks like I’m wearing my Dads shirt! 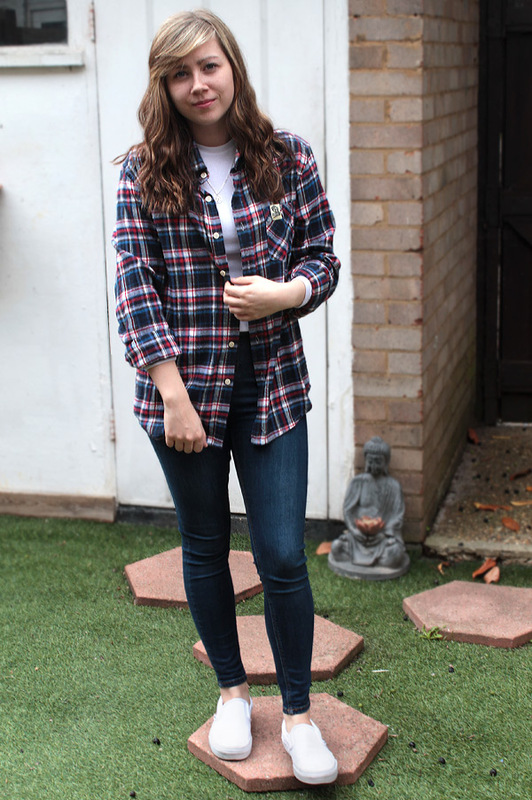 I feel that shirts are great because not only are cosy but they’re so versatile. Pairing this shirt with a ribbed long sleeve I found in Primark is perfect (it was only £4 as well, BARGAIN!). When it starts to get colder you want to layer up and baring in mind the material isn’t that thick, it’s still cosy! My white vans go perfectly but I’m trying to see how long I can get away with wearing them. As soon as it gets muddy I think they’ll be going away until Spring! 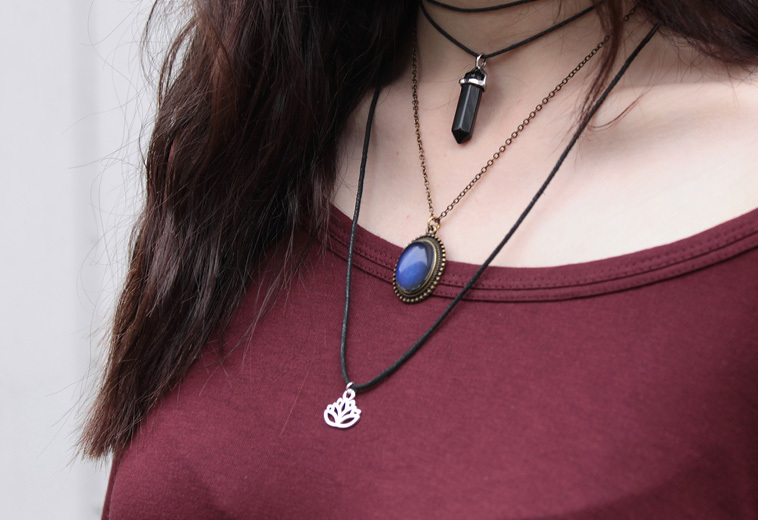 Have you got any items that you feel are essential for Autumn? 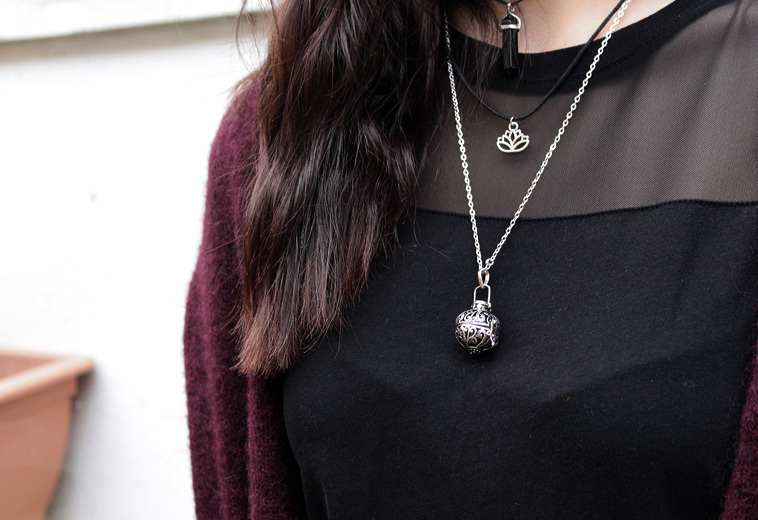 Do you prefer comfort over style when it comes to the colder months?! Oh I love all your outfits girls! I’ve been living in my burgundy cardigan at the moment and my brown boots, so comfortable but on trend. I prefer style over comfort, but saying that I always make sure the clothes I buy are comfy – so I guess I prioritise both? Dr Martens are so versatile right?! Love how they go with pretty much anything especially dresses! 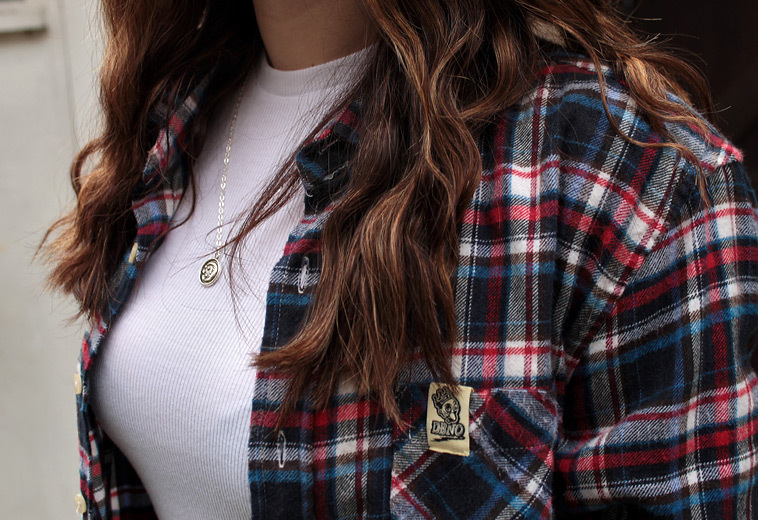 I have been living in my flannel pretty much all week! But I love wearing dresses like that green one in the autumn! Dont forget to check out my blog! I’ve been blogging for 2 weeks and am enjoying getting to know other blogs so much!